Conservatives everywhere condemn the use of tax increases for fear of the Laffer Curve. This is the idea that if taxes are too high, people will lose the incentive to work and therefore revenue will actually decrease. It is most famous for its counter-intuitive argument that a tax cut could increase revenue. Unfortunately there is little or no evidence to support this claim. History clearly shows that cutting taxes does not increase revenue. The Laffer curve is a political idea used to justify tax cuts for the rich. 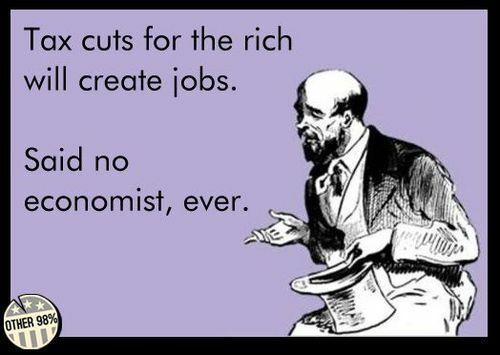 It is not based on sound economics.